Our CPU of choice for this budget is the i3-4160. While it features only two cores, the 4160 also employs hyperthreading to help close the gap between it and a 4-core i5. Hyperthreading adds an additional logical core for each physical core, which is handy for streaming, video editing, and multi-tasking CPU-intensive tasks. We're using the Gigabyte GA-B85M-DS3H as our motherboard. This motherboard is confirmed to be compatible with the i3-4160 out of the box - no BIOS is update required. It supports up to 32GB of DDR3 RAM, four SATA 6 GB/s devices, two SATA 3 GB/s devices, and it has extra DIMM slots if we ever want to increase our total memory. We're using a parametric filter to choose the best priced 8GB kit of memory within Intel's recommended specifications while leaving open DIMM slots for a potential memory increase down the word. Additionally, we're using a parametric filter to select the best priced 2TB 7200 RPM mechanical hard drive. For a similar price, a 240-256GB SSD could be swapped out. In this budget build, we manage to squeeze in an AMD R9 380X. This is a very powerful GPU for our budget, and with it, we can game at 1080p admirably. The Corsair 200R is a mid tower case that can fit all of our components. It offers decent cable management, which can sometimes be a problem at our budget, and there's quite a bit of room to expand with hard drives or a solid state drive. It also has two front panel USB 3.0 ports. We're using a parametric selection of a few well-reviewed budget semi-modular units, which are all rated for good efficiency and can provide plenty of power for this build. Why not a Skylake cpu? Good question. Guide has been updated. 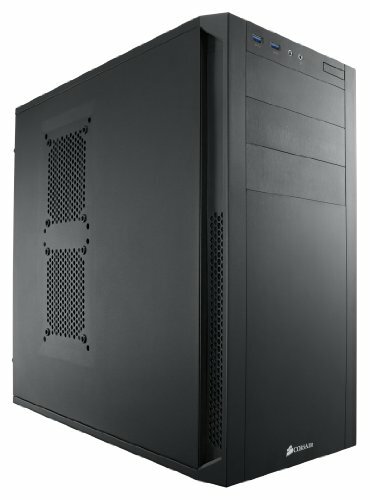 The Logisys CS369BK has a 430w psu included with about the same price. For a $40 case that includes the power supply, the PSU can't be that good. I would highly recommend avoiding Logisys PSU as well as PSU's that comes w/ the case (most of the times). When you put those two together, a Logisys PSU that comes with the case, you are asking for bonfire. Is there a build video? Cx series psu are very weak. Not trying to start a fanboy debate, but for a budget build an FX 6300 on a 970 chipset motherboard would have made more sense. While dual-channel RAM can be helpful in some tasks, gaming doesn't really see a meaningful benefit. This CXM series PSU is actually well-reviewed. Semi accurate, there is proven benefits to dual channel, more so outside of gaming, most people who have a gaming PC do use them for other things, the benefit is slim but worth it. You also have the argument that if one stick fails, you at least have another to keep you going until you can replace it. In regards to the Cx/cxm series, the Internet is full of negative reviews. They're made on the cheap, fine for light use or home office types, but for gaming and overclocking they should be avoided, they're cheap, weak and use thin gauge wiring, that's why they are cheap, there are better out there. Let me guess: You saw the Tom's PSU tier list? Actually no, like I said, the Internet is full if negativity towards that series, even without tom's tier list there's enough info out there to shed light on that series. Most of the user review on the internet are done by half whited morons. Never trust Amazon/Newegg/ext reviews. The CX is a tier 4 PSU, so they made the list all be it one of the lower quality ranks. I would bet most people that have issues with the CX line are trying to push the PSU too hard. Don't OC on them, don't make a build that idles at over half the max output really just common sense things. I used a CX500w in a build of mine (i5-4690k [no overclock] and a R9-270x) for about 2 years with absolutely no issues, I did recently get a better PSU because I want to overclock now. I played by the rules and the CX did fine. I am thinking the same thing. I have been using a CX in a build of mine that is up 24/7 for about 2 years now with absolutely no issues. I understand they are a tier 4 PSU, but they get the job done fine so long as you understand the limitations. Hey, complete computer newbie here just trying to learn. Can I ask, why 2x4 ram over 1x8? 1x8 vs 2x4 is more a question of priorities. More room for adding more RAM later. Only single channel until you add another stick. Less or no room to add RAM later (might need to completely replace RAM). The problem with the dual channel bit is that you see very limited benefits from dual channel RAM when gaming. It's nearly negligible, generally. However, if you feel comfortable in your memory capacity or your memory expandability, feel free to go for dual channel anyway. My general take is that if you're limited in DIMM slots and aren't going with a lot of memory to start (both of which are the case with this build), it's best for most people to go with the single stick. Dual channel RAM is supposed to be a bit faster. Yeah, what he said, it's supposed to increase performance/be 10-15% faster in dual config. As the others said a very light speed increase. There is one catch though. The two sticks have to be identical; same size (ie 8gb), same speed (ie 1600Mhz), and same timings (ie 15-15-15-35). If any of those do not match the PC will kick it to single channel and defeat the purpose of the second stick. Easest way to get it right, just buy 2x of whatever ticket you are wanting to run in dual channel. I myself normally get one high capacity stick when I make the build and add another later. I would rather get 1x 8gb stick now, and another later to have a total of 16gb. 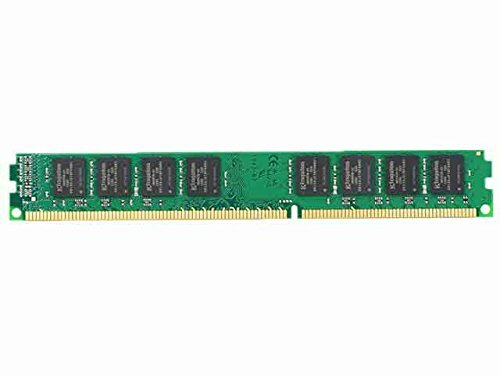 Where if you get 2x 4gb sticks (to get dual channel now) you may have to replace both of them to get more memory (if the mobo has 2x RAM slots). By getting smaller sticks you are limiting what you can upgrade too before replacing hardware. There is not really a right or wrong, just what the person prefers. Which PSU did you mean? Every single one I have in the list (there are multiple) was well-rated by a reputable PSU reviewer. Nvm, I just saw "entry level"
"Beat SMT:Nocturne for me... ON HARD"
Criticizing a build isn't criticizing staff. Especially not when it's purely constructive like yours was. Not only that but the i3 6100 could be upgraded to a skylake i5/i7 in the future and still be in a newer generation than the one above. Not everyone likes to OC. The 380X can also be OCed above its stock clocks. If we're using OCed performance (which is not guaranteed), we need to compare both cards OCed - not one OCed and one stock. Cases are a very personal choice. If someone wants to go with the Z3 or some other case, that's perfectly fine. I like the GQ line a lot. I'm actually using one right now. It's just also a bit longer of a unit, which happens to exclude a fairly decent number of cases, unfortunately.